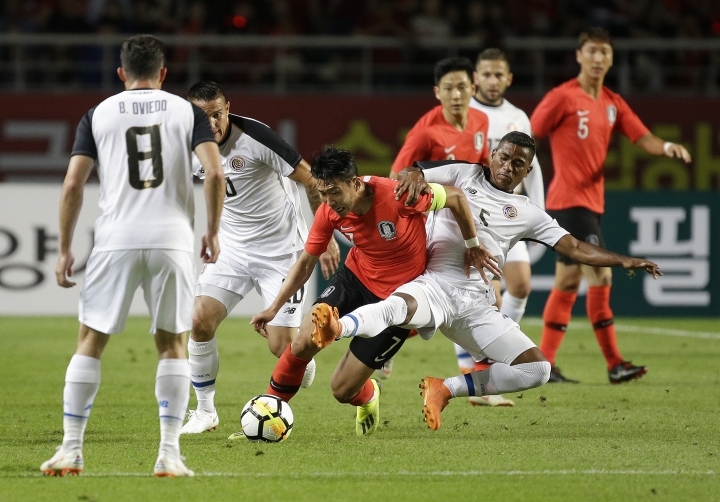 SEOUL, South Korea — Despite a missed penalty from Son Heung-min, South Korea beat Costa Rica 2-0 Friday in a friendly. Son hit the post with his penalty attempt in the 35th minute but Lee Jae-sung scored from the rebound. Last week, Son helped South Korea win the Asian Games title. That freed him and his teammates from 21 months of military service. 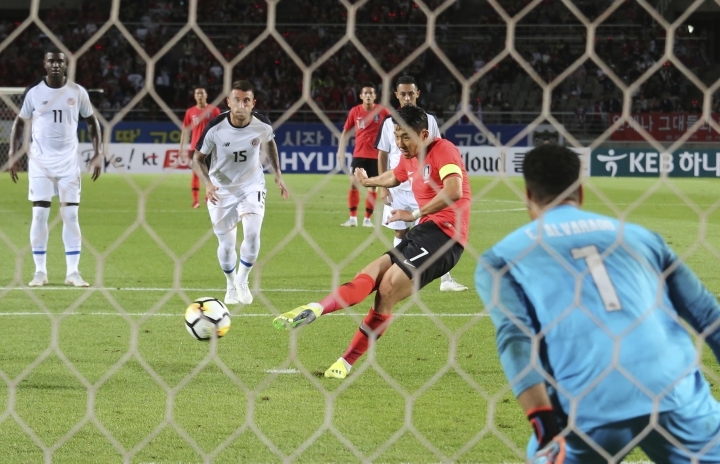 Nam Tae-hee also scored for South Korea, giving coach Paulo Bento his first win in his first match as coach of the team. The former Portugal coach replaced Shin Tae-yong in August and is starting preparations for the Asian Cup in January. South Korea will next face Chile on Tuesday in Suwon, just south of Seoul. Costa Rica will face Japan in Osaka on the same day. Chile was scheduled to play at Japan on Friday but the match was canceled after an earthquake in the Asian country's northern region.